We found beautiful beets from Dirty Girl Produce recently at the CUESA Farmer’s Market. We love purchasing beets whole because the tops are actually edible and a delicious substitute for other greens like kale or swiss chard. Most people aren’t concerned with how their beet tops look because they are just shopping for the bottom half of the vegetable, but these were the cleanest, most perfect beet tops we’ve seen. We also stopped into Rancho Gordo to see if they had anything new. 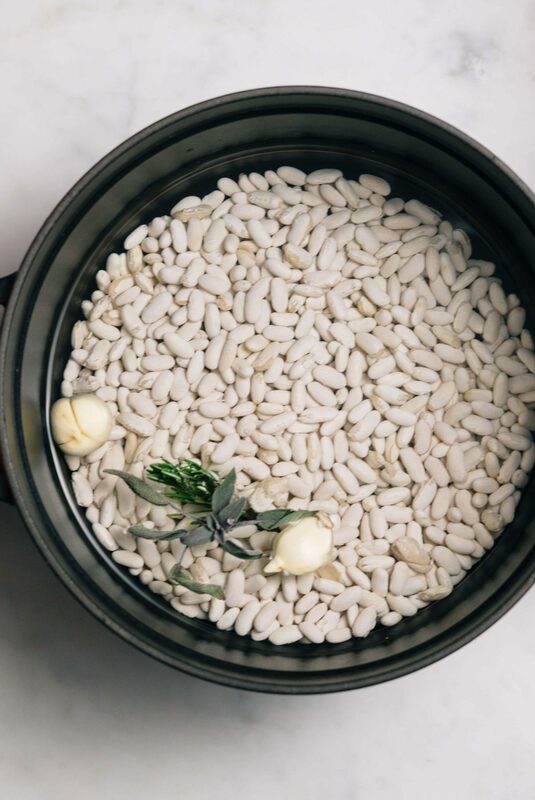 We were thrilled to find that they had recently received a shipment of Marcella beans, the delicate white bean named for Italian cooking expert Marcella Hazan and grown by Rancho Gordo at her request. We love to use our Mauviel copper skillet. You can find a variety of them here and here. They have great heat distribution and are made to last a lifetime. We like to use this to keep our copper shiny and clean. We combined our perfect beans with our perfect beet tops and our favorite Italian sausage from Olivier’s Butchery. 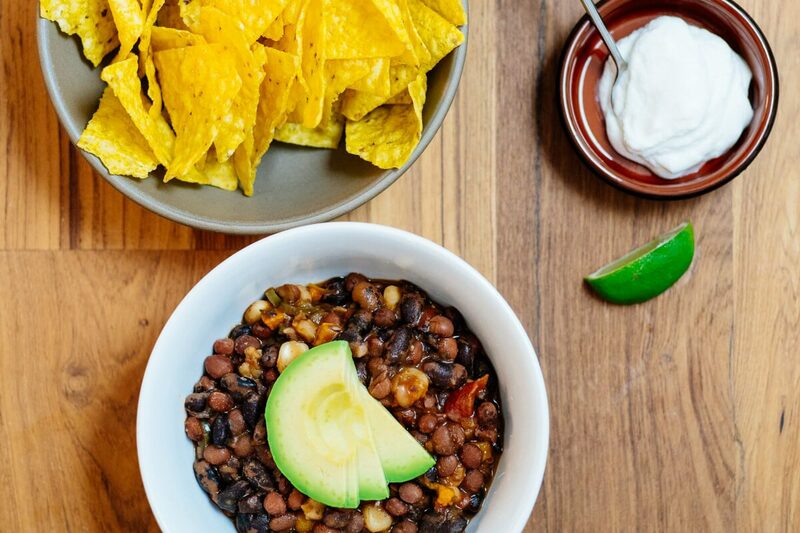 If you don’t like beans, this dish might change your mind! Prepare the beans according to the package directions. Be careful not to overcook, since these beans have such a lovely texture. Heat a few tablespoons of olive oil in a sauté pan. Sauté beet greens until very soft and the pan is almost dry. Remove from the pan and set aside. Add the onions and saute until translucent. When the onions begin to soften, add the sausage and crumble it as you cook. When the sausage is cooked through, add the beans and wilted beet greens to the saute pan, lower the heat, and stir gently until the beans are all warmed through. Drizzle with fresh olive oil and finish with salt and pepper to taste. 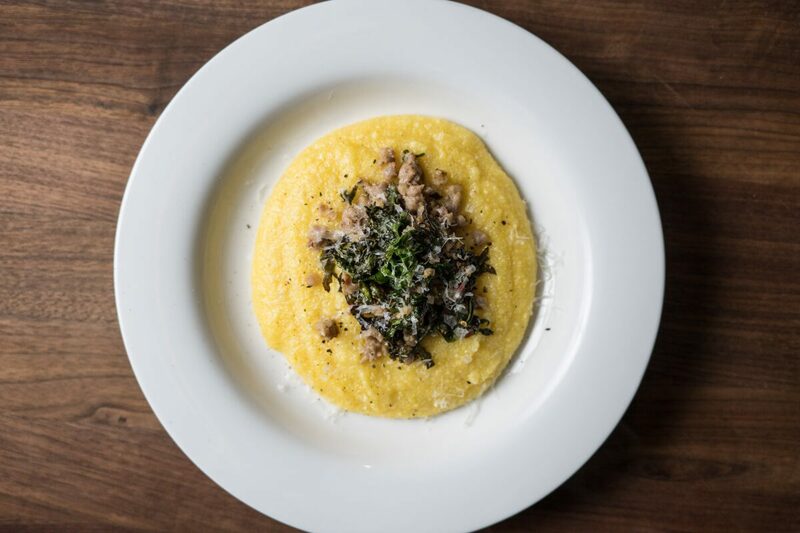 You can substitute Cannellini beans for Marcella beans . We love greens and beans, cooked with pepperoni.